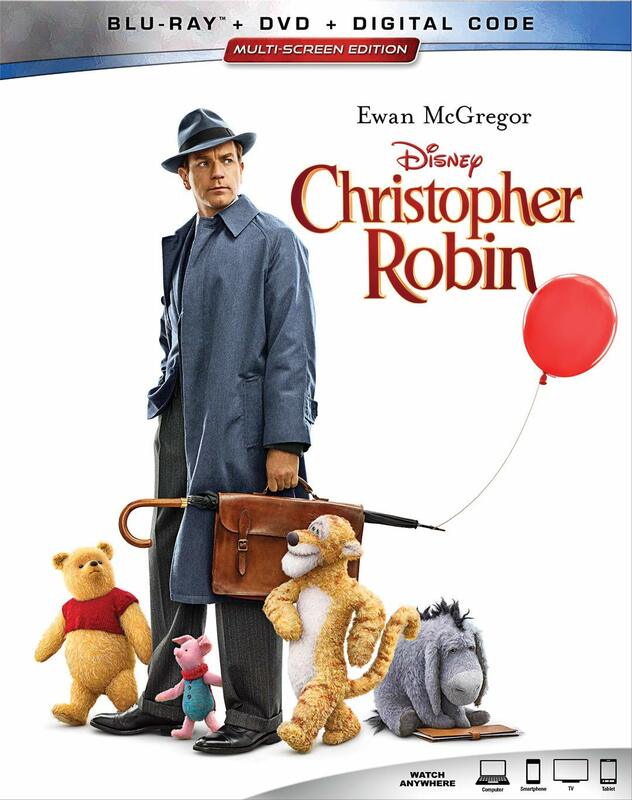 One of the nicest surprises of the year, Disney’s Christopher Robin finds the titular character as an adult (played by Ewan McGregor), who gets reunited with Winnie the Pooh (Jim Cummings), and the rest of his childhood friends from the Hundred Acre Wood, in order to help him rediscover what is important in his life. While Christopher Robin didn’t perform that well at the box office, somewhat understandably so as it got overshadowed by bigger summer blockbusters, this is a lovely and very charming film that absolutely deserves to find more of an audience now that it’s available on Blu-ray. If you’re a Pooh fan, it will warm your heart, and you can read my full review of the film right here. The Blu-ray also includes four short featurettes. A Movie is Made for Pooh focuses on the decision to use classic designs for all of the characters, and how they made the actual stuffed toys to be used on set; Pooh Finds His Voice is a short piece about Jim Cummings, who has been voicing Pooh since 1987; Pooh and Walt Become Friends provides a brief overview of how Walt Disney first came to be introduced to these stories through his daughter, and optioned the rights to A.A. Milne’s characters in 1938; and Pooh and Friends Come to Life has young actress Bronte Carmicheal offering a look at the seamless mix of practical and digital effects used in the film. Christopher Robin is a Walt Disney Studios Home Entertainment release. It’s 104 minutes and rated G.